PT Bank Mandiri (Persero) Tbk - Bank Mandiri (IDX :BMRI) is a leading government-owned public bank in Indonesia, headquartered in Jakarta. The Bank was formed in 1998 as part of the bank restructuring program of the Government of Indonesia. The Bank was formed as a merger result of 4 state-owned banks ; Bank Bumi Daya, Bank Dagang Negara, Bank Exim and Bapindo. As a state-owned company, the Bank is majority owned by the Government of Indonesia. At present, the Bank is 60% owned by the Government of Indonesia and 40% by general public (7.01% domestic investors and 32.99% foreign investors). As of December 2017, the Bank has more than 2,631 office networks and 17,766 ATMs spread in all over Indonesia. The Bank now has 11 directly owned subsidiaries and 3 associated companies. PT Bank Mandiri (Persero) Tbk is recognized as the largest banks in Indonesia in term of total assets, loans and deposits. According to PT Bank Mandiri (Persero) Tbk Annual Report as cited by JobsCDC.com, the Bank maintains total assets of Rp 1,124.70 trillion as at the end of 2017. Referring to its analyst meeting, total loans as of 2017 were Rp 729.5 trillion and total deposit of worth of Rp 815.8 trillion as of 2017. Education background in Senior High School (SMA), Associate Degree (D3) and Bachelor Degree (S1). Maximum age of 24 years old for Fresh Graduate candidates. Maximum age of 26 years old for candidates with 2 years of experience. Good looking and excellent communication skills. Placement : South Jakarta area. JobsCDC.com now available on android device. Download now on Google Play here. Please be aware of recruitment fraud. The entire stage of this selection process is free of charge. 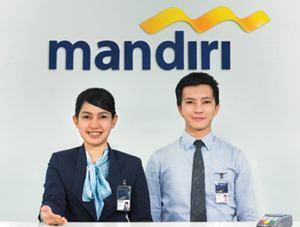 PT Bank Mandiri (Persero) Tbk - SMA, D3, S1 Fresh Graduate Kriya Program Mandiri May 2018 will never ask for fees or upfront payments for any purposes during the recruitment process such as transportation and accommodation.